A woman suffered serious injuries after police were called to reports of a fight in Whittlesey. Officers were called at 8.26pm on Saturday, April 29, to the incident in Orchard Street. A woman in her 20s was taken to Peterborough City Hospital by the East of England Ambulance Service with serious head injuries. A medical response car from Magpas also attended the scene to assist. 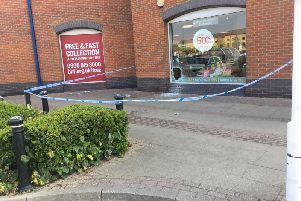 A 26-year-old man from Peterborough was arrested on suspicion of causing grievous bodily harm.